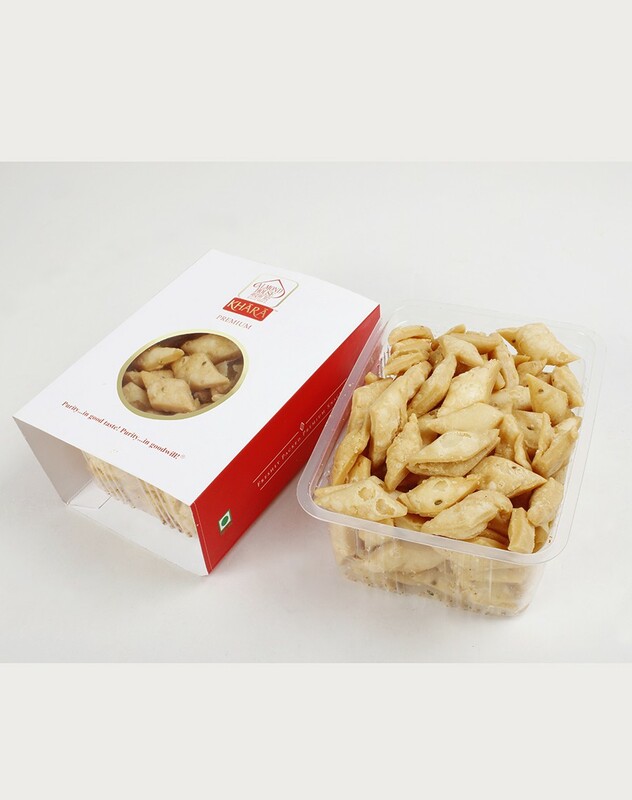 Namak paare is pastry like crunchy snack lightly seasoned with carom seed. You can eat them with spiced mango or lemon pickle. Namak para is an excellent tea time snacks and are also made during festive occasions. It can be purchased in bulk and can be stored in an air tight container and can enjoy them with tea for next few weeks. Namak para is available in Almond House in Hyderabad Telangana.